I only think about quilts on days ending with "Y"
Our son got married in October and we were delighted to welcome a new daughter-in-law to our family. 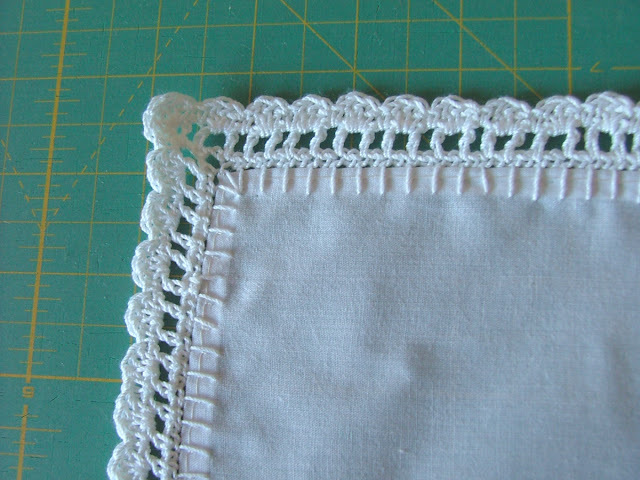 I wanted her to have a special wedding hankie to carry on the big day, so I set out to make one. 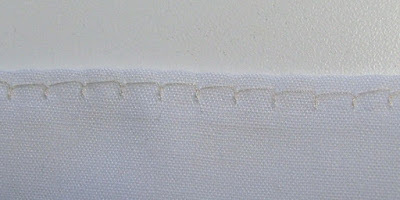 I bought a piece of lightweight white cotton fabric and cut it to 10 1/2 inches square. 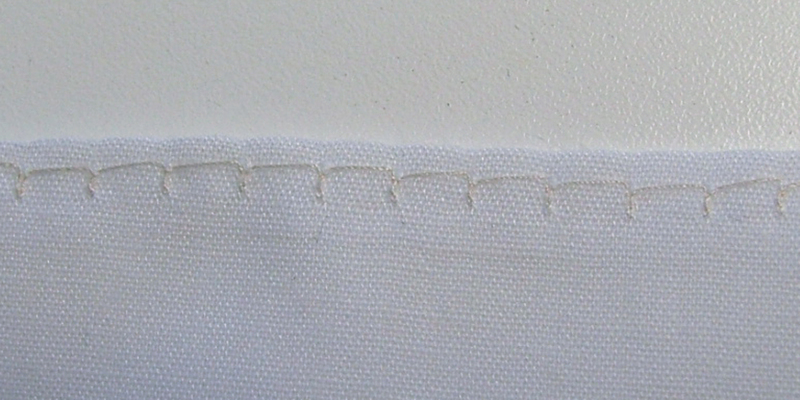 Then I folded the raw edges under twice to give a nice neat edge. 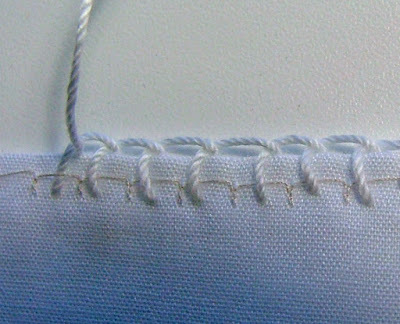 I secured the edge using my sewing machine and a blanket stitch. 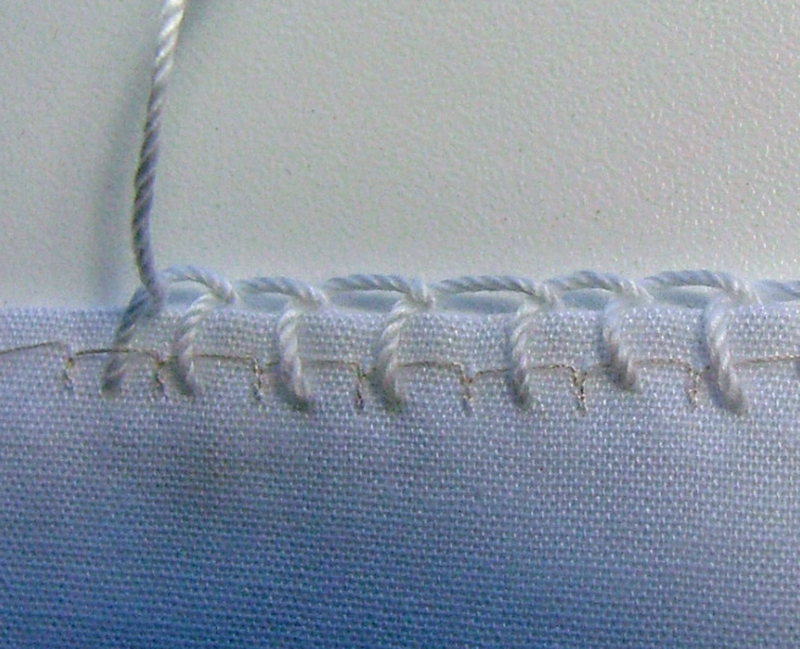 Then I switched to a crochet hook and did a few rows of stitches all the way around. 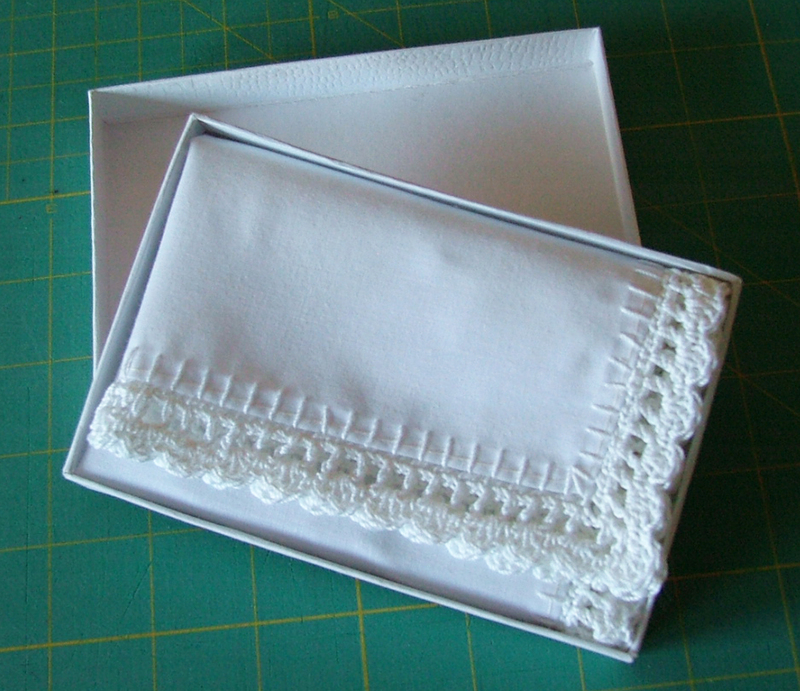 I boxed up the hanky and had it ready to give to the bride. 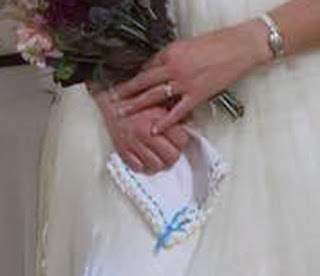 Two nights before the wedding, I learned that she did not have anything blue for her "Something Borrowed, Something Blue..etc.". I told her I had something for her, and that I could make it blue. 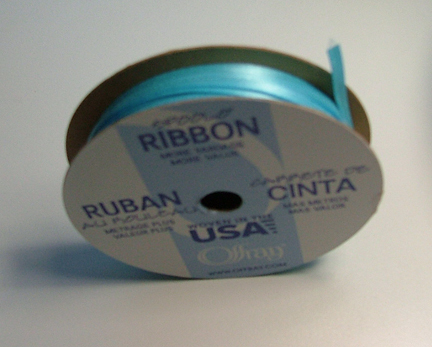 I then gave her the handkerchief, and told her I would add some blue ribbon. and that evening, amidst all the other wedding preparations and after the rehearsal dinner, I used a safety pin and wove the ribbon in and out of the spaces in the crochet border. On the morning of the wedding, I was very pleased to be able to give her her "something blue". Here is a somewhat blurry photo of the bride with the hankie. Love it! The perfect 'extra' for the bride! Thank you, Lynne! I was so glad to be able to make it for her. What a beautiful story! She will always treasure that special hankie! Thank you, Rosemary! I remember carrying a lace edged hankie on my own wedding day and I wanted her to have on too. I can't draw or paint, but I can nurture my artistic soul through colorful quilts. Thanks for visiting my blog.